It’s never too early to start applying for scholarships – we encourage students to start using the StepUp Scholarship Toolkit as early as the 8th grade to create an impressive resume and practice writing personal statements and other essays to submit to scholarship committees. Each year, StepUp Utah gives away their own scholarship awards to reward 8th grade students who use the StepUp Utah Scholarship Toolkit to guide their scholarship journey. They will select two students who will each win a $500 scholarship. Click on the picture to the left for more information about the scholarship. Different $1500-$3000 Scholarships available every month! These aren't based on GPA but require an essay on various topics. There are several fun topics for you to check out. Make some money by applying for scholarships! These Scholarships are available for all students 13 and up and are not gpa based. Click on the link below to find a list of monthly topics. "Imagine a historical figure is brought back to life. Who is it? What's their favorite mobile app?" ​The Regents’ Scholarship may be modified each year as a result of legislation. It is important that you use the Regents’ Scholarship page as your resource for the most up-to-date information. The Program Guide is updated each spring in April. ​The FAFSA, officially known as the Free Application for Federal Student Aid, is the form that families fill out to apply for federal grants, loans, and work-study funds for college students. 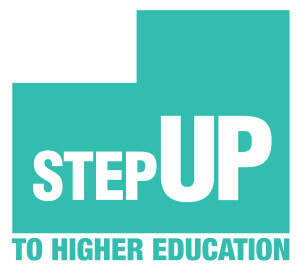 It is administered by the U.S. Department of Education, which provides more than $150 billion in student aid each year. It is never too early to apply for scholarships. Click HERE for a list of scholarships for children under age 13 and links to the coordinating websites. Benjamin Franklin once said, “For every minute spent organizing, an hour is earned.” When it comes to scholarship applications, staying organized will definitely save you time, but it can also earn you money! Remember that scholarships are not just for high school seniors or current college students. Some scholarships are offered to students as young as elementary school (like the UESP Make Your Mark Bookmark Contest). No matter what grade you’re in, here are a few tips to help you organize your scholarship workflow throughout the school year.